Hi all, below are my posts for the demo compo for Forever. all the songs were done before the sad death of Prodigy's frontman. all I wanted is for everyone to listen it on a hi-fi speakers. Thats all, sorry to all for my bad and boring production. Accept, please, my apologize, that i destroy party production. there are 5 covers of Prodigy band. No Good, Their Law, VooDoo People, Breathe and Omen with 5 nice pictures and scroller. Demo has two modes. 1. Forever presentation untouch mode (just watch what demo shows, do not touch to anything) . Demo shows 5 pictures and five musics for 1:20 minute every. after presentation demo ends with message which was added later. this is last produstion of our demo group CZECH. We ends production in 1996 when our great coder BOL bought PC Pentium But we lost this demo by big mistake, we delete it from tape:( But before it happens we send it to on another tape to Slovak demo group GMG ( you are great !!) and forgot for it. And after 23 years They found this demo and give it us back. I, as last working member of CZECH group, was very very very happy that i have this demo back again. There are great demo effects, for year 1996 offcourse, I love Desert Dream scroller in BOL Effect part of megademo. All I want was to show this demo to all atarians, because it was great for me and i want to spend my heart moment with atari scene. And again, sorry to all that i destroy party with boring production. Accept, please my apologize. this is my last production for atari. Edited by Poison, Mon Mar 18, 2019 1:57 AM. I think too many jokes were made during this party because of prd "duration" and Prodigy stuff. Hard to survive. Nothing to apologize, definitelly. Thanks for sharing this old prod - nice music in it. 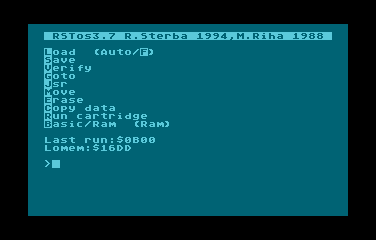 Just copying my answer to Poison's post on atarionline.pl. +1 to Xeen's comments. No need to apologize. Poison - my personal take is, that it SHOULD NOT BE YOUR LAST PROD FOR ATARI. I think the Megademo actually contains some interesting effects. The challenge in appreciating them is the fact that they are scattered across an extraordinary length of time. If some of these effects (cherrypicking) would be put together, maybe a bit shortened, aligned the color scheme, align the placing on the screen, better/more interesting fonts, etc. it could and up as a pretty good quality demo. Maybe not technically groundbreaking, but hey, we don't have to break the limits in each and every production. So Poison, please do not give up. Maybe just work a bit more on the design aspect the next time. I think most of us would really appreciate another proper Atari demo, if its closer to 3-5 minutes in length and has a couple of interesting effects. On another note - while I was a bit frustrated during the compo, it's already became a legend It will be remembered, and after a while when emotions go down, I think most of us will actually start to smile, and feel the pleasure (despite all the odds) of being a part of it. And this legend, this memory will add to the growing 'folklore' of Forever party. So Poison, cheer up, you have not offended anyone, you have not harmed anyone, you've made some of us smile after all. Work on design, and give as a next demo some time in a future. Btw. Poison, can you also share TOP7-10.xex files? I believe we saw the reference to these parts in the credits part. I understand they may have not been shown during the compo, but hey, if they exist, please link them here. Poison - I don't see any reason for your apologize . Your msxs were well done, the story of the megademo is also interesting. Keep going with your work. Sure, the megademo was too long for demo compo, it made the compo time boring, however, it was matter of organization, not your fault. Thanks Poison for your entries! Also agree with tomaswoj who wrote there: "while I was a bit frustrated during the compo, it's already became a legend It will be remembered, (...) most of us will actually start to smile, and feel the pleasure (despite all the odds) of being a part of it. And this legend, this memory will add to the growing 'folklore' of Forever party. " Well done Poison and crew! As for the apologies, the demo is out so it's all good in my books . No need to feel bad that it took longer than expected to be released! Also, I hope you will reconsider and do more stuff for the Atari 800 in the future. I actually spent the whole evening listing to the Prodify playlist in youtube while I was building Lego houses with my daughter. Now I come to the internet and see that I could have listened to my Atari instead....?! Great stuff Poison, and of course music disk/demos are long - that is the best thing about them! Whatever people might have told you at the party, every release if something you 3 really should be proud of. I personally enjoyed the Top Secret Megademo, thought some of the effects were cool and it reminded me of the 90's. I also enjoyed listening to all the Prodigy while I was compiling this page https://atari8bit.ne...d&t=forever2019and had a great time doing it. 14 times Poison is mentioned in the compo results, thats quite a contribution! I wasn't there so I missed all the drama from the party/afterwards. It's such a shame that every party/compo these days seems to have a bunch of unnecessary drama attached to it with people getting hurt or upset. There are too few of us into all this to be alienating each other like this. Orgs allowed. Yes, Poison should have been wiser, because it harmed him the most. But orgs allowed. Let that be lesson for the future. As for the old demos, the biggest problem was nobody knew they are actually demos from 90s. Btw. about the pictures in the Prodigy demo. 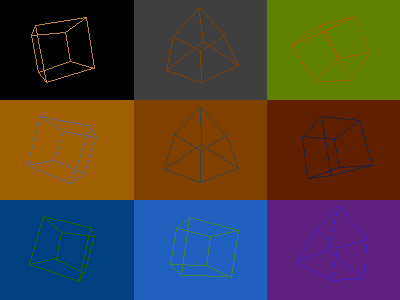 It's just 6 colors, using PMG and inversion, on char basis. I was surprised how good some of them looks. 6 colors is clearly lot more than 4. Edited by R0ger, Wed Mar 20, 2019 8:02 AM. Each part loads the next part (except part #5 that crashes and part #4 that ends in an endless loop). The cassette loaders have some interesting special effects (remember, the screen DMA is OFF when loading). 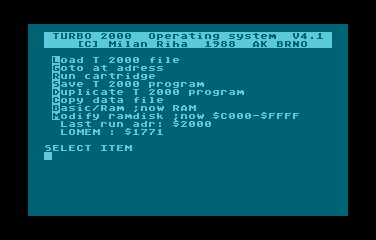 It is all Turbo 2000, so the loading times are short. Edited by baktra, Fri Mar 22, 2019 7:32 AM. Wow I could see these effects being used today, really liked an incredible portion of the Demo. This is some cool sh*t.
I remember doing some really new stuff for pointing to missing stuff for the Atari, particular 15kHz POKEY programming. Fandal asked me to put the best of them into a Demo. Later a Demo arrived, shitting towards my direction, doing all vice versa, as the "Pokey Demo was intended to show as much as possible on a stock Atari, that particular other "Demo" exhausted all possible resources for almost nothing , and the text also contended attacks toward my direction. That thing interestingly got attention by any vapor cause. But that's another story. That same guy, who fucked everything that belongs to good manner, is now whining, because people don't realize outstanding coding ? eMkay you either lose track or where your train of thought is going, or you jumped the tracks, and it's possible we also have translation issues. I implore you to post in both your native tongue as well as your translation in tandem/parallel.... This will help us all understand what it before us much better. Our comprehension will improve with better source material and people who might pull much needed clarity from such material. Edited by _The Doctor__, Tue Mar 26, 2019 8:44 AM. there are some amazing effects during turbo cassette loading. Also, this is a great demo production from mid 90's! AFAIK, folks that created that demo did not even have a disk drive (cassette recorders only)! It's unbelievable. If you like the nature of TOP SECRET, you might also like WANTED from GMG. The cassette life was not so bad with tools as follows. Edited by baktra, Tue Mar 26, 2019 10:45 AM. About Top Secret Megademo... Is it possible to get all remaining missing parts of the demo? On my site a link includes published parts and I need to know if their names are correct or not. I already tracked down that Part 4 is actually named Bol Effects and not DLPart as noticed in last part with credits info. Part 6 is actually Part 10 - Credits, I think.